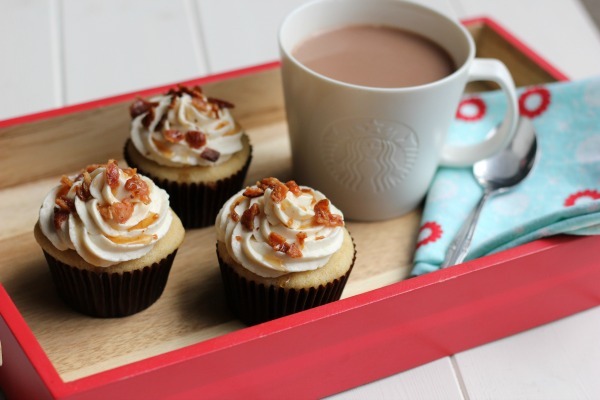 enjoy - Maple Bacon Cupcakes. 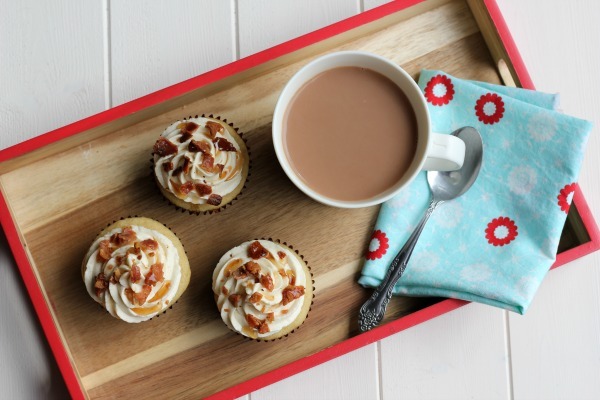 I kept the cake simple by baking a vanilla cupcake. One of the men suggested I add bacon to the cake next time. He said you can never have too much bacon! 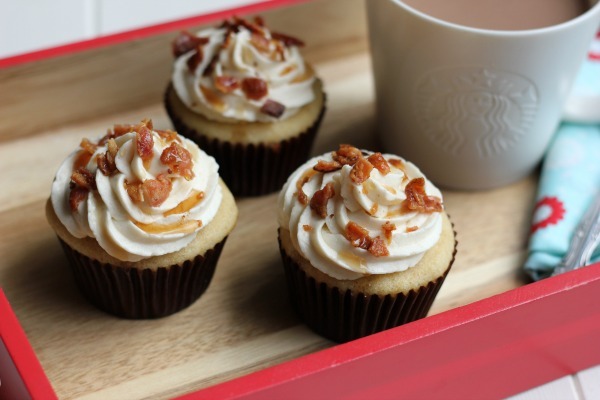 I used Jimmy Dean Applewood Smoked Bacon and added pure maple syrup to the frosting. In a large mixing bowl combine ingredients and mix with an electric mixer. Try not to over mix! or until toothpick inserted comes out clean. In the bowl of a stand mixer, beat butter until pale and creamy, about 1 minute. Add confectioners sugar one cup at a time, mixing between additions. Add maple syrup and heavy cream. Beat until light and fluffy. P.S Don't forget to enter my giveaway for a prAna Garland Tee! It's so comfy! !